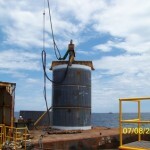 Get in contact with Joe Wright via email at joew@apevibro.com. 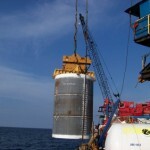 Get in contact with Vince Ellis via email at vincee@apevibro.com. 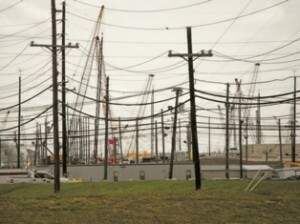 An APE King Kong was spotted in Belle Chasse Louisiana, off Walker Road with GIC (Gulf Inter Coastal). 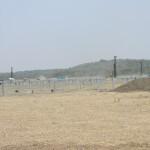 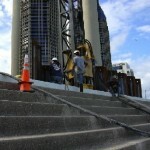 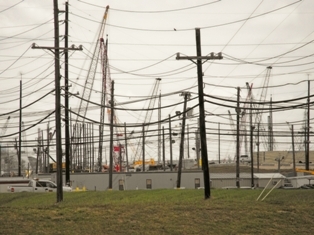 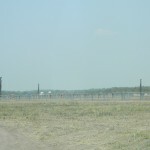 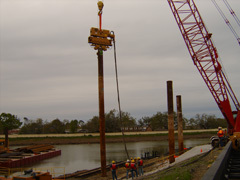 The construction site was a joint venture with Kiewit and Traylor Brothers Construction. 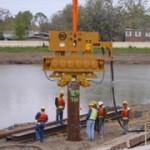 The King Kong (APE 400 Vibratory Driver Extractor) made quick work of pulling the 54” caissons. 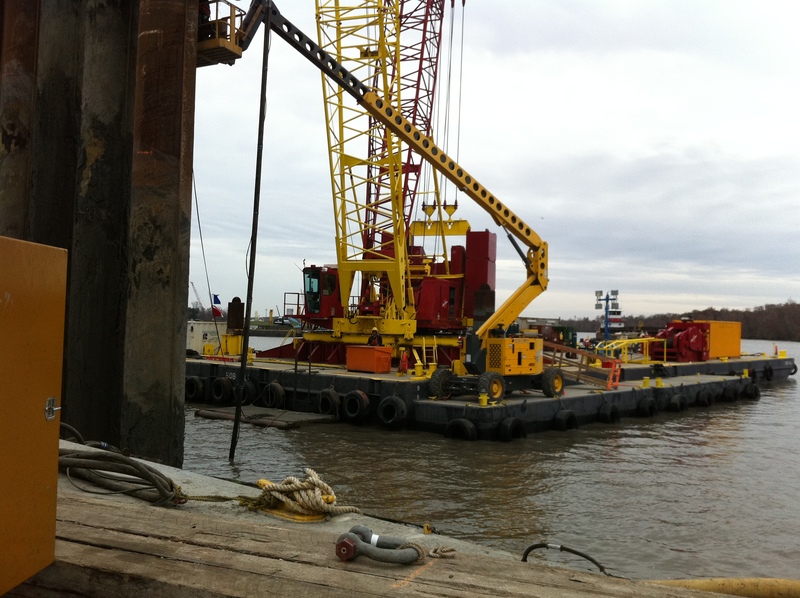 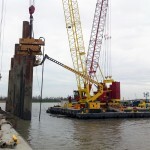 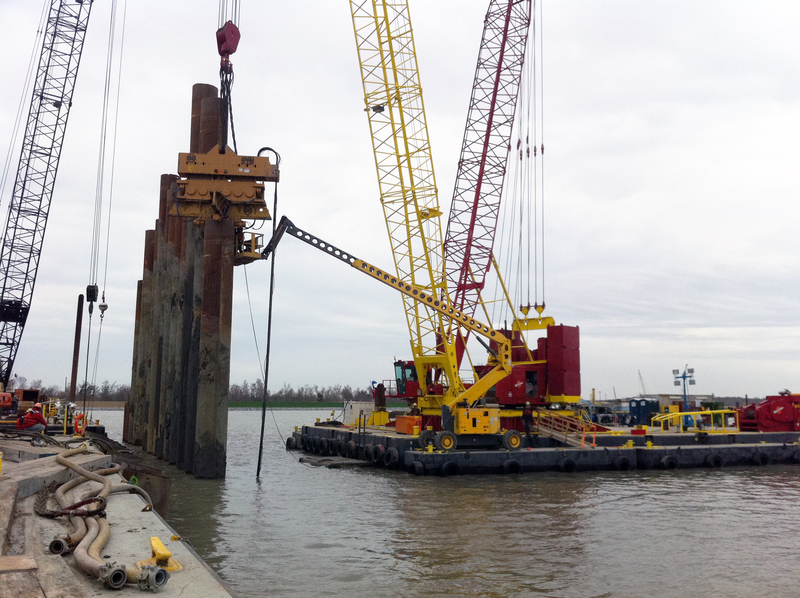 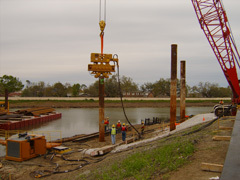 Each pile was 140 feet, they were part of a temporary cofferdam for the construction of the largest pumping station New Orleans. 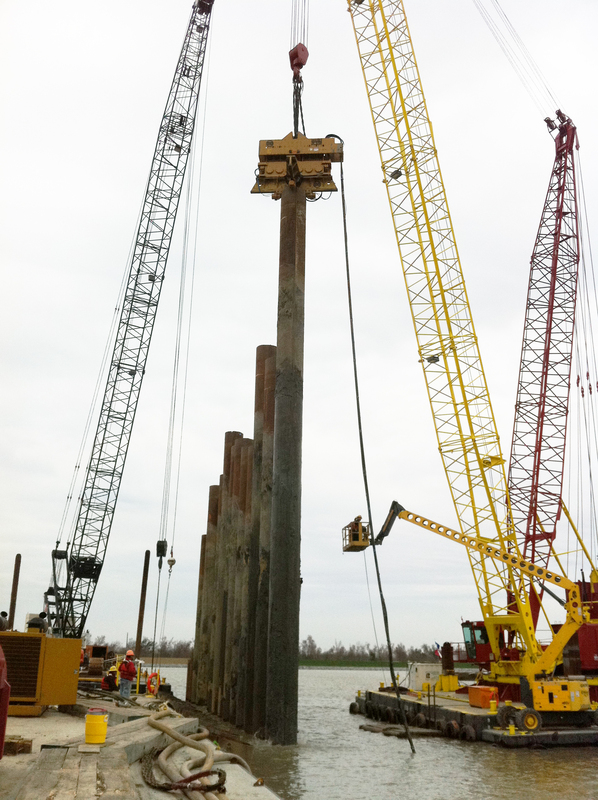 Removing the piles is no easy task but the King Kong pulled them like a champ! 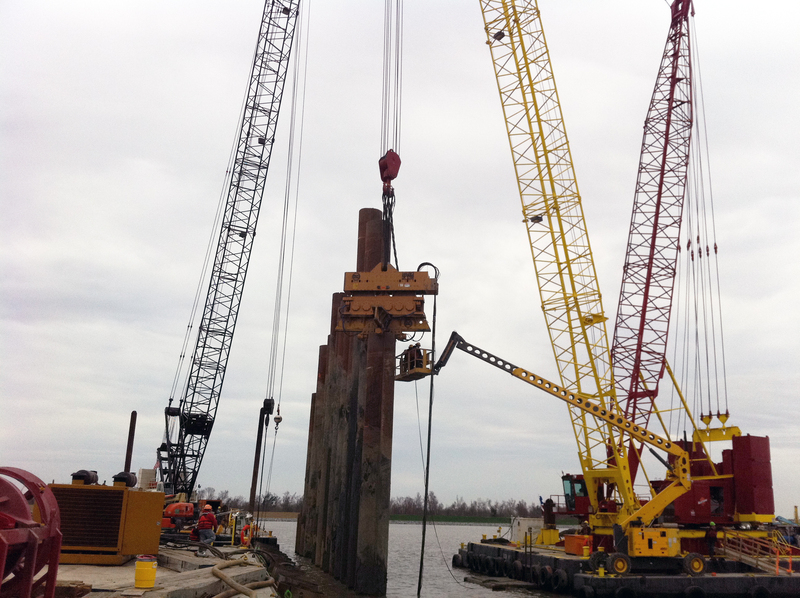 URS chose the fully APE fixed leader with telescoping leads so that they could avoid using a massive template system to drive the 120′ x 14″ H-piles on a 1 on 2 batter on their levee job in New Orleans. 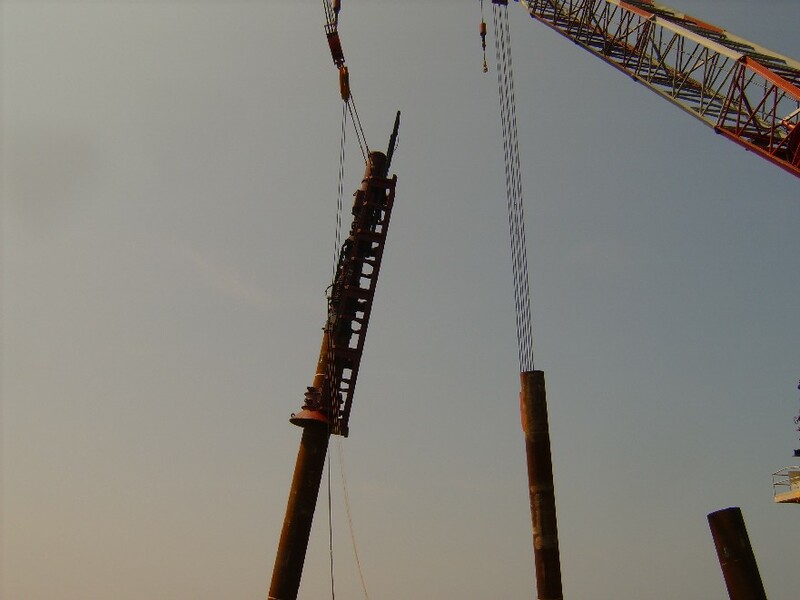 After a short learning curve and Ape replacing one service tech with no sense of urgency with one that had a high level of urgency to train the URS mechanics on the maintenence of the Ape equipment the customer was able to drive up to 33 piles a day per rig. JAB Energy Solutions teams with APE for the right solution! 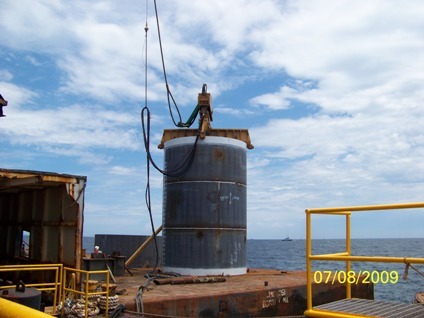 When the old way of doing things becomes too difficult and expensive Johnny and Brent Boudreaux of JAB Energy Solutions started to rethink the way knocked over wells are P & A’d (plugged and abandoned) in the Gulf Of Mexico. 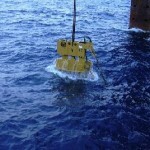 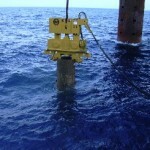 The current procedures call for massive amounts of excavation on the sea floor of the gulf. 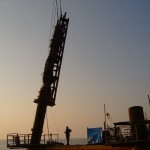 Typically, this is done by using large jets and divers to move the mud in order to make access to the knocked over well which is usually bent below the seafloor. 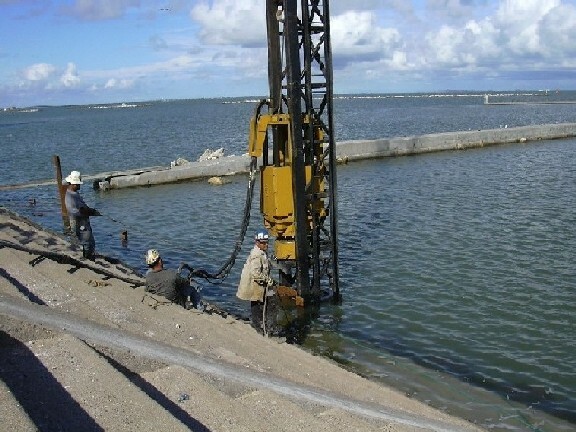 The safety issues along with the time and expense of this part of the process is a huge variable when working in deep water and dealing with unknown soil types. 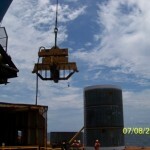 To attack this problem JAB designed and fabricated a special reusable can that is 20 ft. in diameter and 40 ft long. 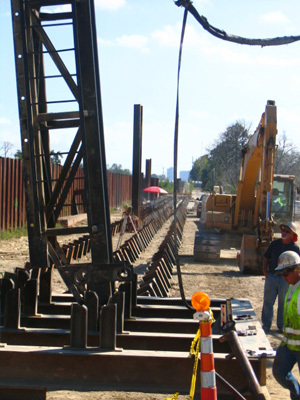 This “can” can be driven and used as a coffer dam greatly reducing the area needing excavation allowing for safe access to the well. 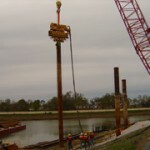 JAB also built an APE specially designed oversized quad beams 22 ft. in length that weighs over 40,000 lbs, the beams bolt to the bottom of an APE Model 600 vibro ( Super Kong). 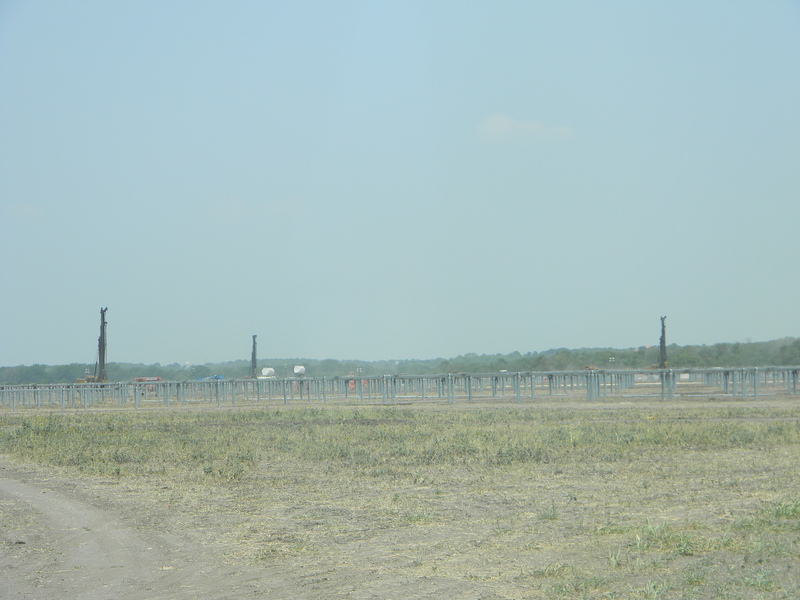 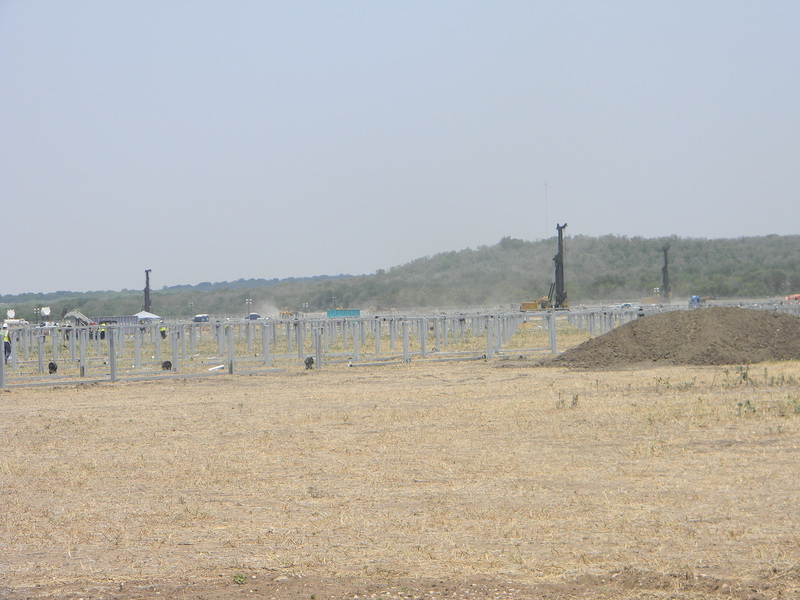 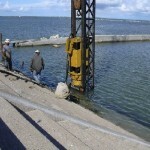 The first job for this equipment was done during the week of July 4, 2009. 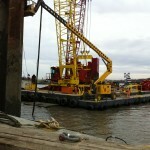 The job took place in 200 ft of water and the soils consisted of stiff clay. 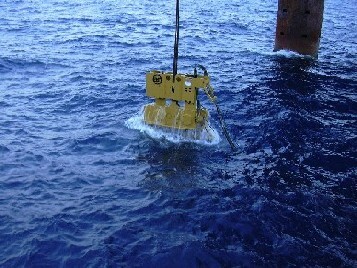 The can was driven approx 20 ft into the sea floor and the drive time for this was approximately seven minutes. 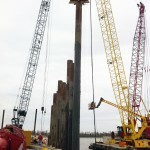 Brent Boudreaux, Managing Partner of JAB, had this to say, “APE took on this challenging never done before task and worked with us to come up with a safe and reliable solution. 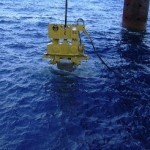 The scope was accomplished without incident in a very tough environment. 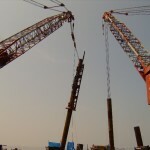 A task that in the past took two to four days was done in 7 minutes. 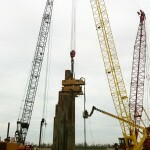 Hats off to all involved.” Contact Joe Wright or Brad Sullivan at APE Texas with any questions. 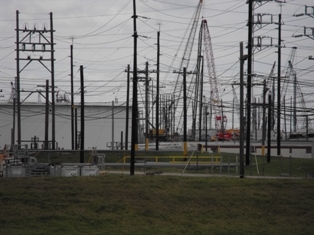 The Motiva refinery in Port Arthur Texas with a current capacity of 275,000 barrels a day is expanding its operation to 600,000 barrels a day to make it the largest refinery in the Nation and one of the top ten in the world. 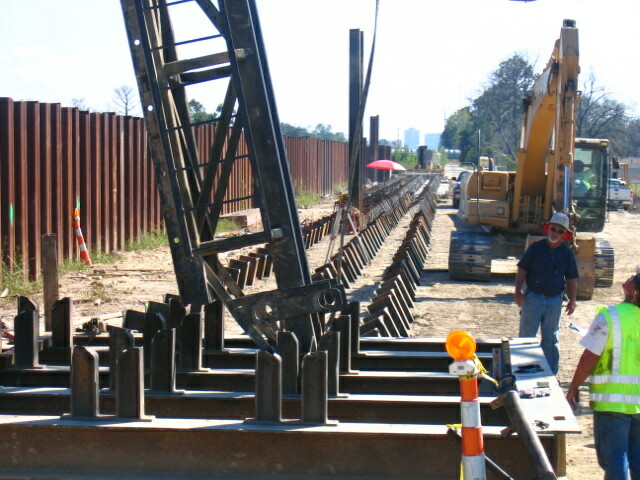 The expansion consists of driving approx. 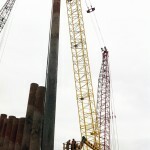 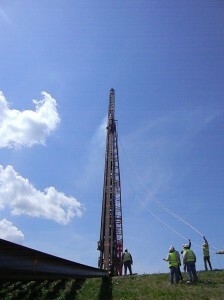 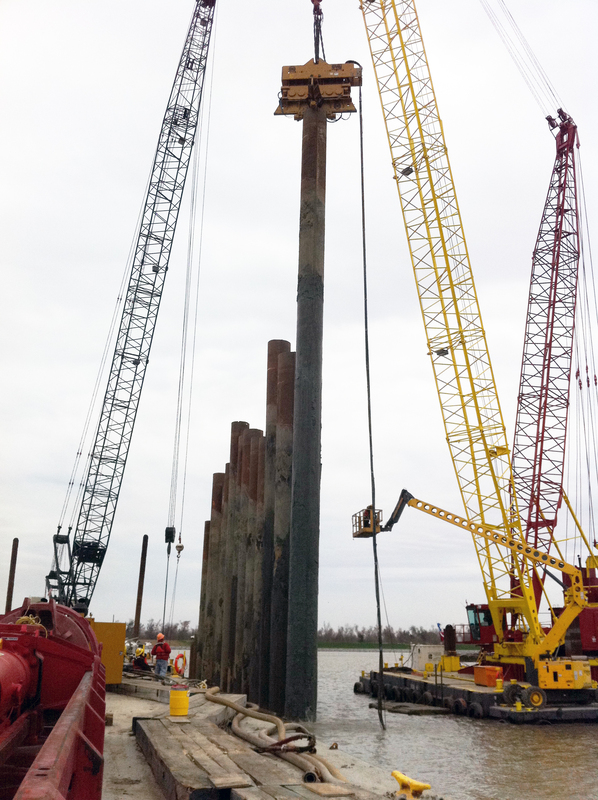 60,000-80,000 piles. 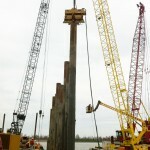 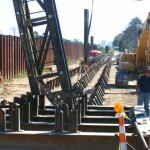 The company driving the most piles is Bomac Contractors from Beaumont Tx. 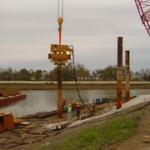 followed by Group Contractors out of Baton Rouge La, Cajun Constructors also out of Baton Rouge La, and BOH Bros. out of New Orleans La. 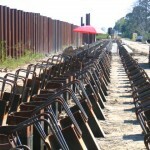 There are approx 20 APE diesel hammers driving in Motiva which doesn’t leave much room for anyone else’s hammers. 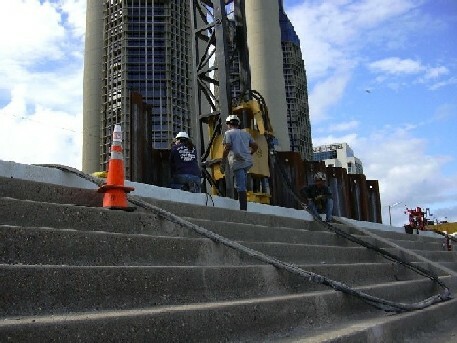 James Construction Group Goes APE! 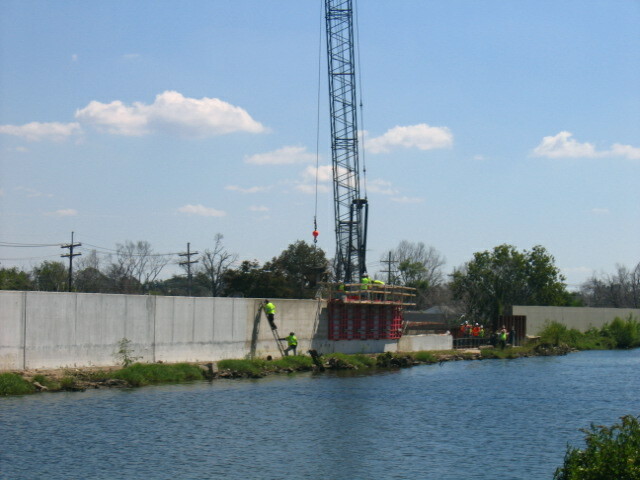 Project estimator Bruce Duhon supplied these pictures of the London Ave. Canal Floodwall Breach Repair at Robert E. Lee Avenue which consisted of driving 480 each of a HP14x73 with lengths up to 115′ and batters as severe as 2:1 with the popular Ape model 7.5 hydraulic impact hammer. 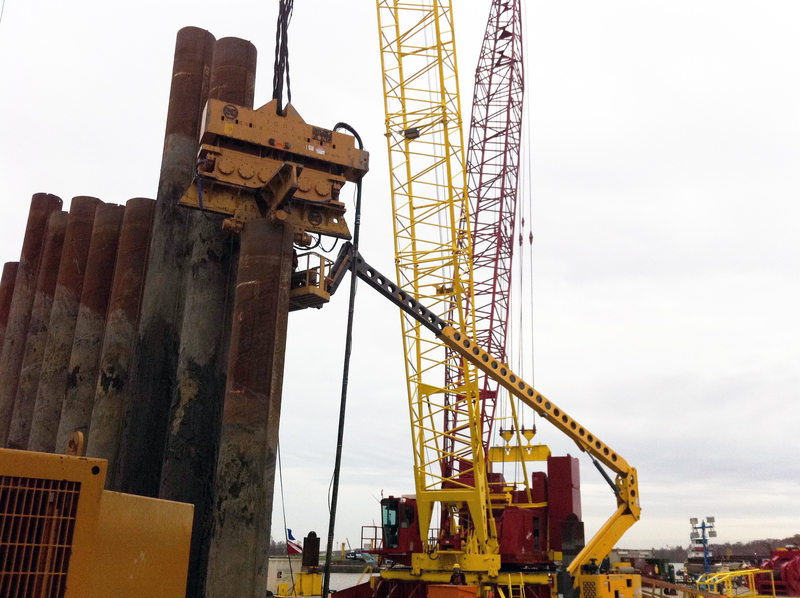 Piledriving superintendent Johnny Terral says “of all the hammers that he has used in his career the Ape model 7.5 is the sweetest one that he has ever used”. 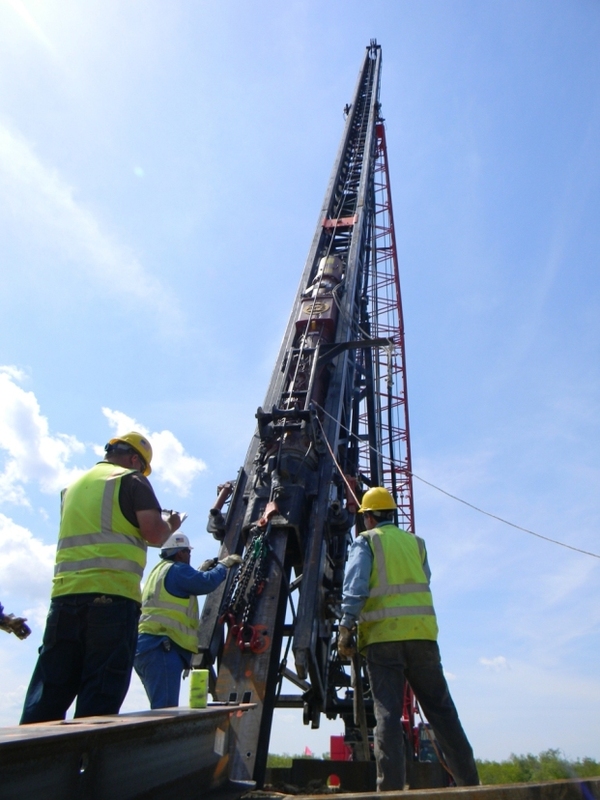 Using Ape equipment consisting of one Ape 200 vibro, one Ape 200T vibro, one Ape 200-6 vibro, one Ape 300 vibro, one Ape/J&M 66/80 vibro and one Ape/J&M model 115 hydraulic hammer, Kiewitt Southern installed a pump station designed to move water out of New Orleans in the event of flooding. 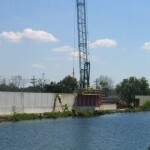 The Orleans Avenue Canal project was completed before the June 1st deadline and consisted of four sixty foot cells, five gates and 10 pumps capable of moving 115,000 gallons of water per minute. 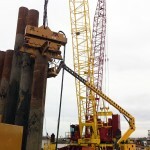 Kiewitt Southern equipment manager Jeff Sarles said ” The Ape equipment worked flawlessly which played a big part in completing the job on time and that the service support was excellent”. 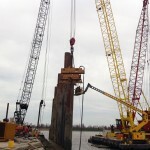 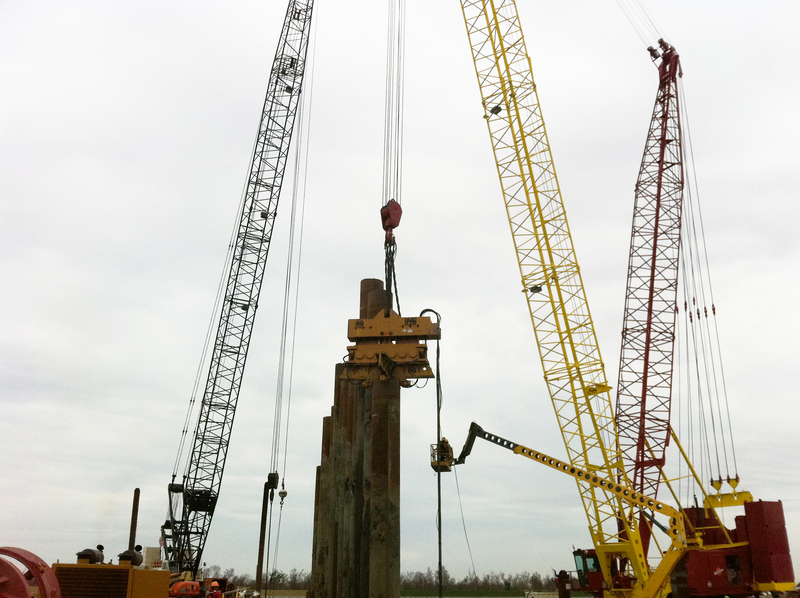 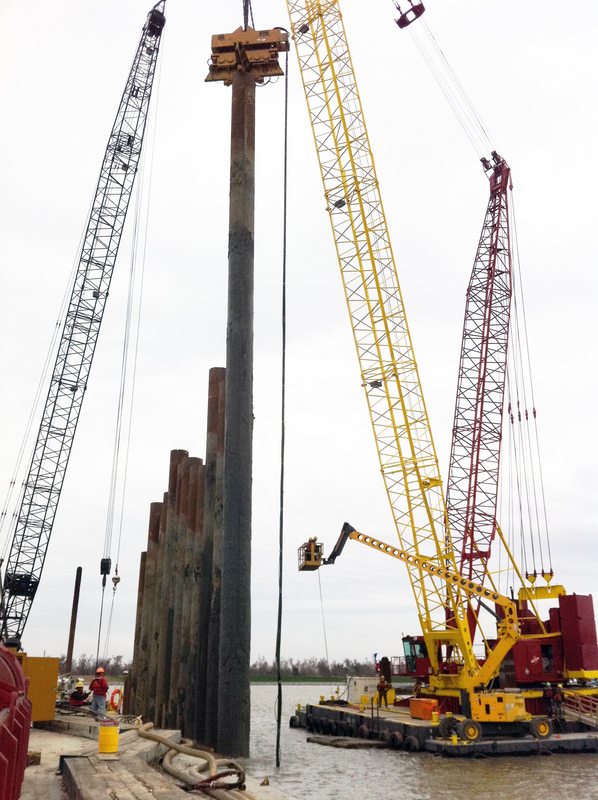 Wilkinson Technologies drove 48″ piles to the depth of 290′ with blow counts never exceeding 45 blows per foot in the Gulf of Mexico and finished just a couple of days ahead of Rita. 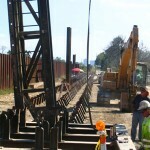 For more information on this job call Joe Wright or Brad Sullivan of APE Texas. 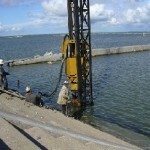 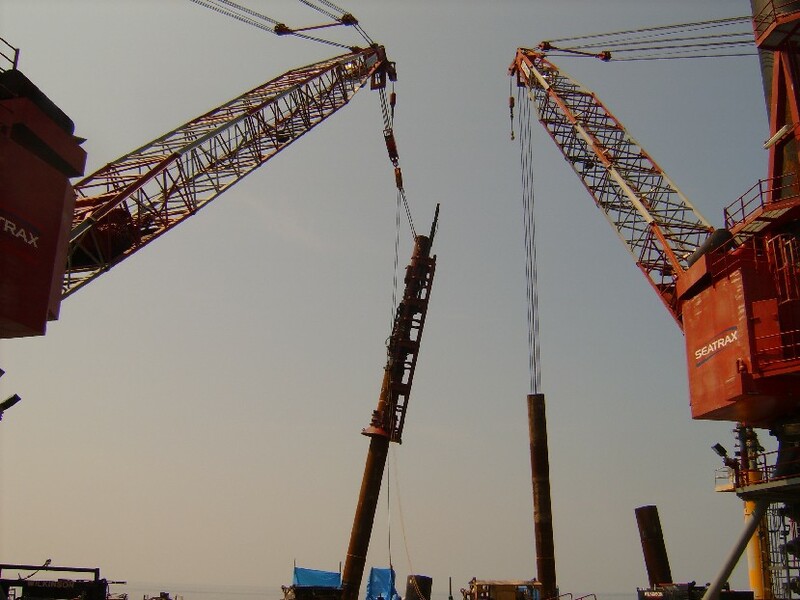 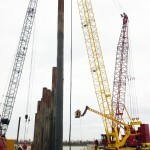 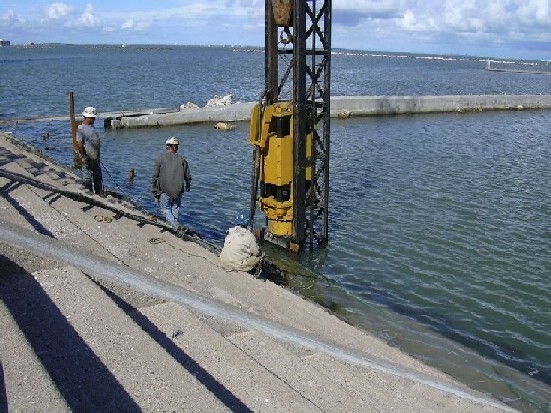 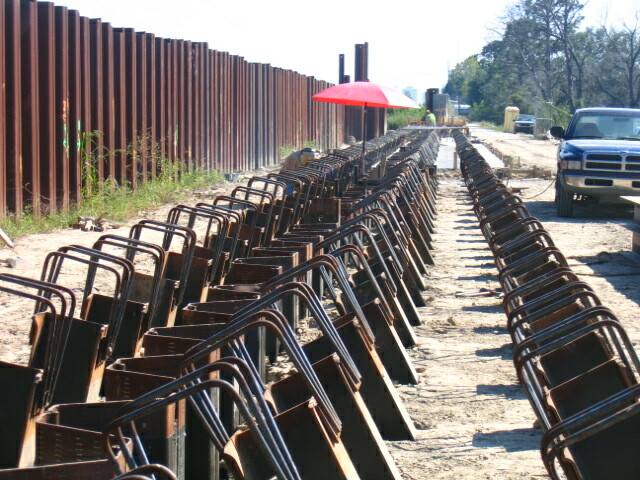 The CCC Group used the APE 200-6 and the Ape 200T vibros to drive the sheetpiles at the seawall in Corpus Christi to within a few feet of grade then they used the APE 7.5 hydraulic impact hammer to finish them off. 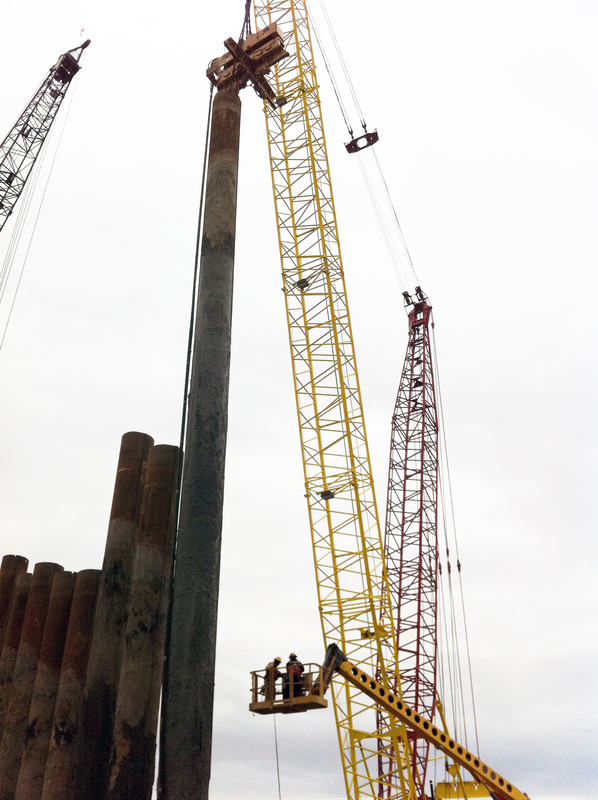 There was some concern about the 7.5 making too much noise but Micheal Owens of CCC Group said that it was actually quieter than the vibros. 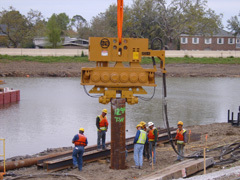 For more information on this equipment call Joe Wright at 832-724-1044. 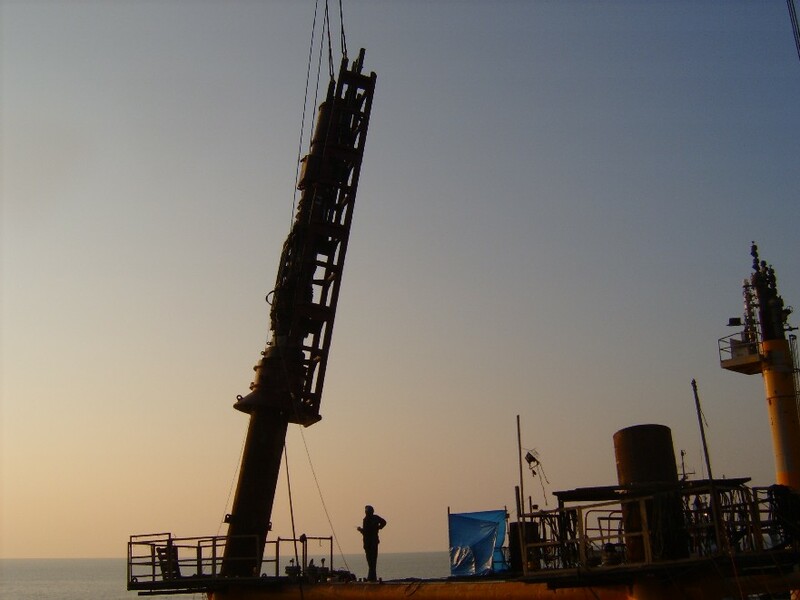 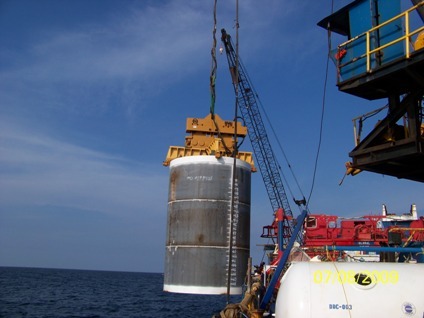 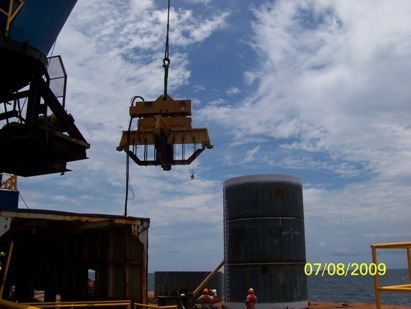 Offshore Specialty Fabricators used the APE model 300 vibro to pull 48″ x 40′ x 2″ wall pipe piles in 150′ of water. 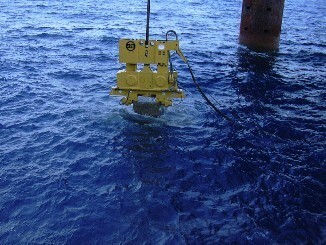 Howard Touchet was very pleased with the performance of the Ape vibro. 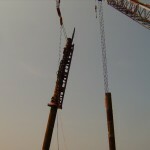 It took anywhere from 3 to 5 minutes to extract each pile. 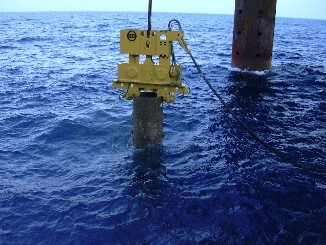 The APE vibro is the only vibro available that you can use in that water depth with out pumping air to the transmission as you let it down and releasing it as you bring it up which often results in blown seals that allows the transmission to fill with water.